Past and contemporary street culture come full circle in this collaboration. 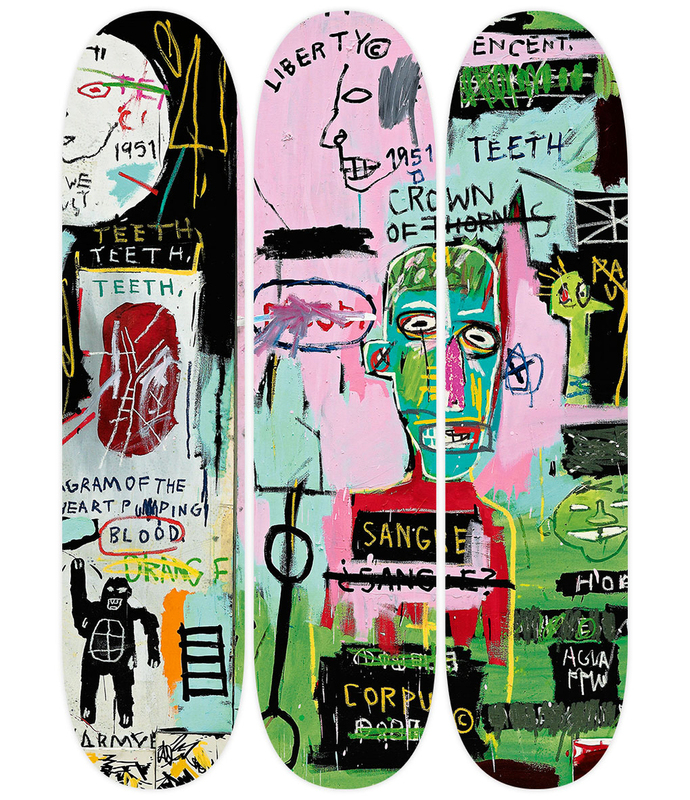 These high-quality Canadian maple wood skateboards are adorned with 1980s art icon and native New Yorker Jean-Michel Basquiat's works. Basquiat's fragmented poetry and poignant symbols established a visual vocabulary that continues to inspire a new generation of graffiti artists and skaters today.